The Global Alliance of Waste Pickers is happy to share with you its first global newsletter. We hope that it can be one more way to connect waste pickers across continents with the issues that affect them globally and locally as well as report back to all of you on the different activities we have participated in as well as the many events to come. The newsletter has been translated into four languages (Spanish, Portuguese, French and English). We hope to make it available in other languages as waste pickers are becoming organized in many other parts of the world. This first newsletter features two parts: A look back at the Global Alliance’s activities in 2011 and a look forward to ongoing events happening this year. The next newsletter will be published on a quarterly basis. We look forward to your help spreading the word. Feel free to send the subscription link to others or visit the newsletter archive. For all other information, visit www.globalrec.org. Waste pickers who work at dumpsites and landfills all around India came together to discuss their working conditions and the threats they currently face in their own cities. It was the first workshop designed specifically for dumpsite and landfill workers. One waste picker from Dakar, Senegal, and one from South Africa, accompanied by the international coordinator of the Global Alliance, attended. The waste pickers shared their experiences and discussed the problems they face in their cities, including the closure of dumps where they make their living and the threats they face when waste final disposal processes get privatized. For more information contact: asia@globalrec.org. For the first time in 40 years, the International Solid Waste Management Association organized an event focusing on the integration of the informal sector into the solid waste management system. Waste pickers from Argentina and the international coordinator for the Global Alliance participated in the event, providing input, sharing experiences and making the audience aware of how waste pickers’ livelihoods are threatened sometimes even by decisions made by the Solid Waste Management Association. See Lucia Fernandez’ PDF presentation and the event website. Om Prakash with South African delegates. Fifty-three waste pickers from eight provinces in South Africa, members of the Alliance of Indian Waste Pickers and waste pickers from Kenya, Senegal, and Latin America came together to discuss strategies as they prepared for COP17, the UN Climate Change Conference held in Durban in December 2011. Waste pickers learned about key concepts such as climate change and greenhouse gases. They learned about the environmental impact of recycling vs. ‘waste to energy,’ incineration, landfill gas extraction, and privatization. They discussed the impact of Clean Development Mechanism (CDM) projects on the ground. They also learned about the ins and outs of the national waste policy and how to discuss these concepts with their local governments. The Global Alliance for Incinerator Alternatives facilitated workshops together with the support of the WIEGO African coordinator. The Global Alliance, ready to march for climate justice at the Global Day of Action. 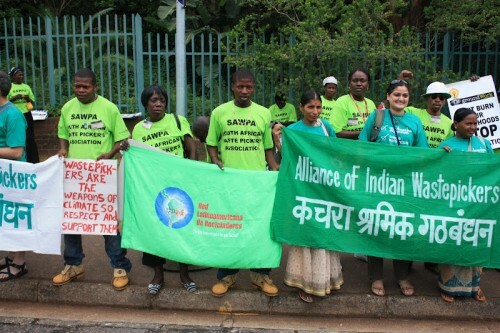 COP17 was especially important for the Global Alliance of Waste Pickers. 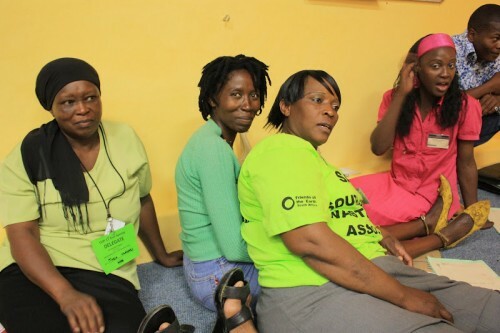 Because the climate conference was held in Durban, South Africa, a huge number of members of the newly formed South African Waste Pickers’ Association were able to attend and make their demands heard in their own country. The 60 or so South African waste pickers were also able to hold meetings and network amongst each other, strengthening their relationships and their association. In addition to the strong presence of South African representatives, waste pickers from associations in Costa Rica, Brazil, India, and Senegal participated in the conference as well as the side events, and engaged in solidarity meetings with the South Africans. 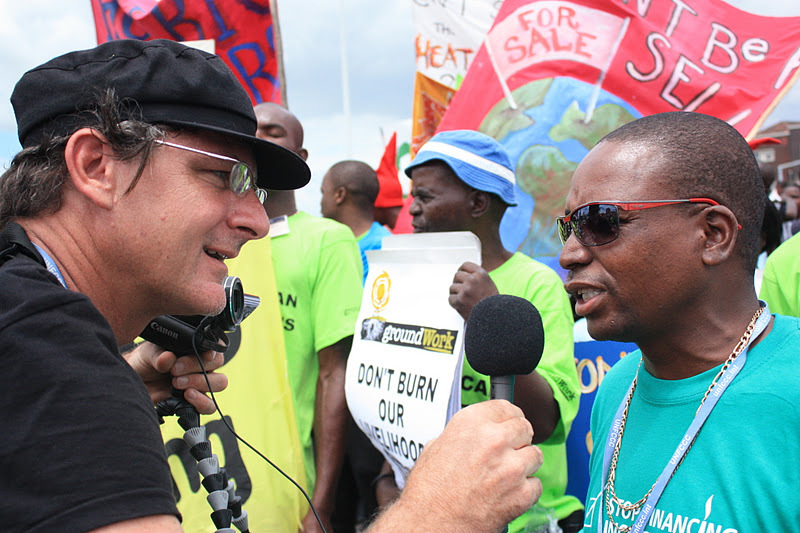 A journalist interviews Nimrod of SAWPA during the Global Day of Action. One of the highlights of attending the conference was the Global Day of Action March on Dec.3. The South African Waste Pickers’ Association was there in full force, along with waste pickers from around the world — all marching and singing South African struggle songs together, demanding climate justice. On Dec. 5, the Global Alliance held a protest inside of the conference headquarters, making their demands visible and generating a lot of media attention. Waste pickers were featured in dozens of media outlets, including The Mercury, Democracy Now!, IPS, Sowetan Live, and The Citizen. They also spoke to a BBC reporter on the United Nation’s Climate Change Studio. On Dec. 5, the Global Alliance held a press conference inside the conference headquarters. They called for a Green Climate Fund with direct community access and an end to CDM “waste-to-energy” projects. Representatives from three continents highlighted the fact that waste pickers are the most effective way to reduce greenhouse gas emissions in the waste sector. They spoke against disposal technologies that undermine their livelihoods, such as incinerators and waste-to-energy projects. See press release. These are just a few highlights of COP17 activities. For the full report, videos and slideshows, visit globalrec.org. See GAIA’s report on COP17. Waste pickers from all over South Africa met in small groups during the SAWPA meeting. South African waste pickers met during COP17 in a closed meeting to discuss the constitution of the South African Waste Pickers’ Association and the Code of Conduct for waste pickers on landfill sites and in streets. 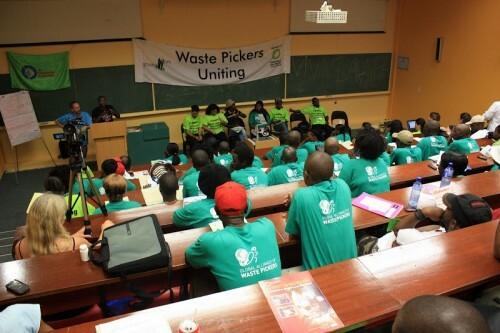 The South African Waste Pickers’ Association was launched in February 2010 and it has drawn up draft principles of the organization. Members continued to discuss this draft in the December meeting. 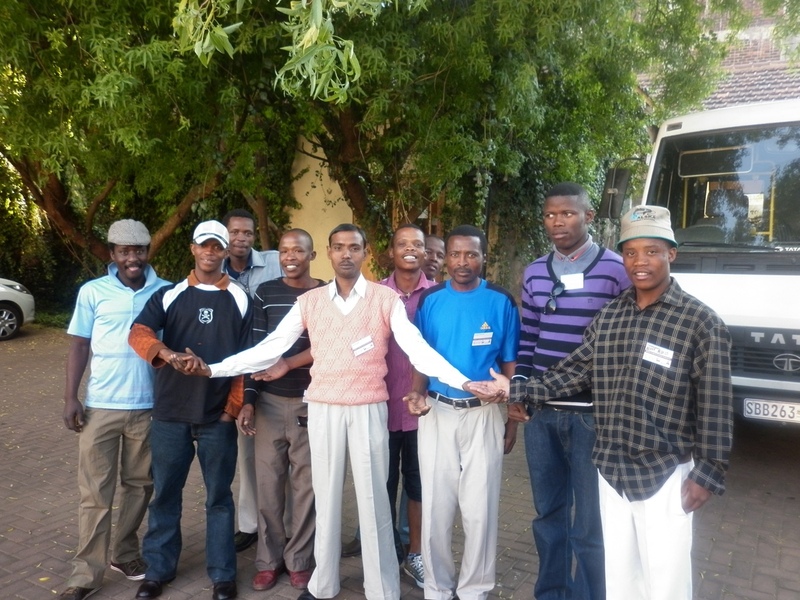 Waste pickers with the Global Alliance share experiences with South African waste pickers. 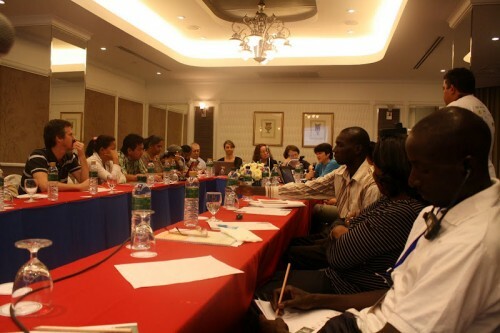 On December 2, the meeting opened up to include delegates from waste pickers across the globe. Waste pickers from Costa Rica, Brazil, India and Senegal were present. Delegates exchanged ideas and learned from each other as they joined in solidarity. As part of the global program defined in the Steering Committee Meeting in March, we are implementing a pilot project that compiles legislation in several countries in Asia, Africa and Latin America that tackles solid waste management systems and the inclusion of waste pickers. The final results of the project, to be available in the coming months, will include a comparative analytic matrix. Check globalrec.org for updates. At a steering committee meeting held in Bangkok last March, the Global Alliance of Waste Pickers decided that in order to really do justice to the global movement of waste pickers, it would need its own communications strategy, independent of that which their allies have been providing. So in October, a communications officer and a web designer began working for the Global Alliance. So far, the communications and web team has helped cover major events such as COP17. The current pre-website – globalrec.org – will be expanded in the next months to become a real website with many features and a wealth of information. It will also be much more accessible to waste pickers and organizations who want to contribute and connect with waste pickers across the globe. Find us on Facebook at facebook.com/GlobalRec and on Twitter at @global_rec. For almost a year, the Colombian waste pickers were fighting a $1.7 billion dollars public bid that would have taken the role of recycling from the recyclers and handed it over to private companies for a ten-year period. Brazil’s National Solid Waste Law was ratified in August of 2010. The plan claims to establish a series of measures, including the end of open landfills, the implementation of recycling collection and the inclusion of waste pickers in solid waste management. Waste pickers at the hearing. The public hearing is part of a public consultation process that began in September of 2011. The aim of the this process was to receive and incorporate suggestions and contributions from civil society to the development of the national plan. 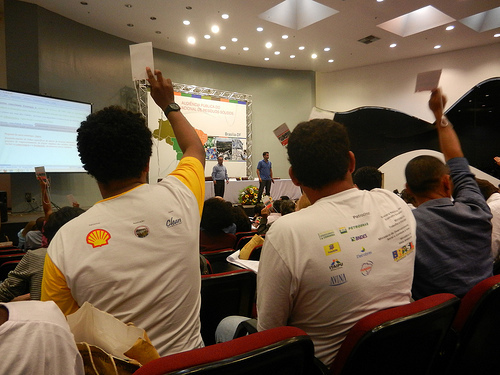 Six hundred people from all sectors, including 100 waste pickers/catadores from MNCR coming from different states, sat down to collectively discuss the guidelines, strategies and goals for waste management in Brazil. Among the topics were how to better reduce, reuse and recycle and incorporate waste pickers — in a professional way — in this process. 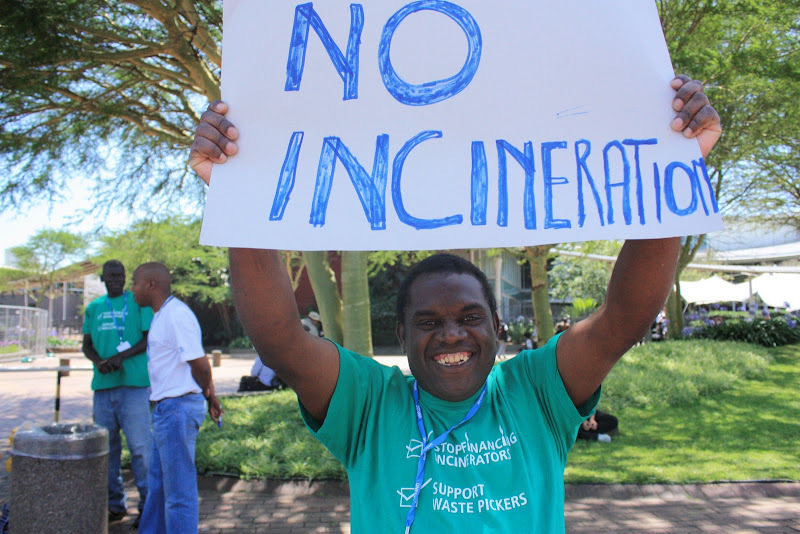 One of the biggest concerns for the waste pickers was Article 9, a problematic text that opens the door to the incineration industry. As a result of the participation of civil society in these public hearings, the possibility for incineration companies to operate is now more difficult. See article by Magdalena Donoso, the Latin American Coordinator for GAIA, in English and Spanish as well as the MNCR website, www.mncr.org.br. This extensive print newsletter featured articles on exchanges between Indian and African waste pickers, a section on the issues to be discussed at COP17, a list of organizing tips, an article about the history and formation of the the South African RRR network, a piece about CDM incineration and landfill gas systems, a review of gains from a conference in Senegal, and an events calendar. See the online versions in French and English. 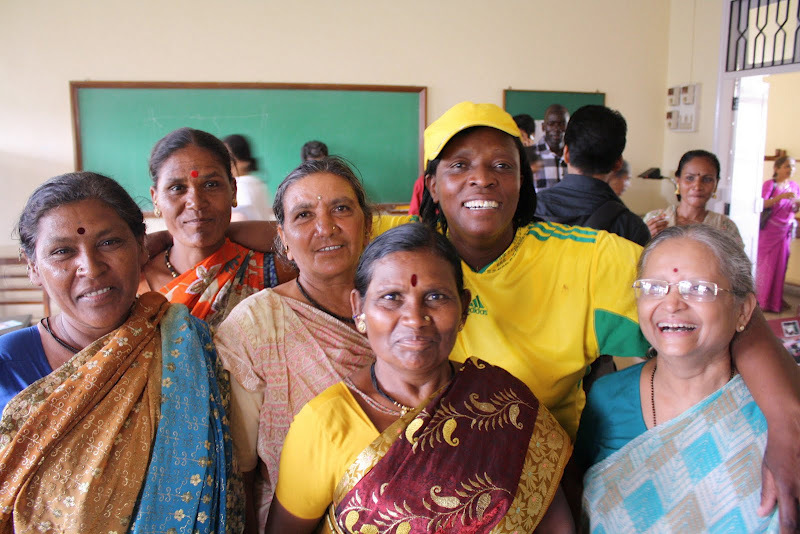 SWaCH, a cooperative of waste pickers based in Pune, India, that became operational in 2008, launched its first quarterly in October of 2011. The newsletter reported the inauguration of a mobile recycling unit in September, the Nirmalya Collection and Recycling Project, the creation of recycling centers where waste pickers can work without being exposed to the elements, segregation drives to encourage the separation of wet and dry waste, and a project in which artist Shirin Rehman depicted in a series of paintings the lives and work of waste pickers after living in several Pune slums with waste pickers. Included in the first electronic newsletter were articles by Marlen Chacón, of Programa Escazu Recicla in Costa Rica, who discussed the realities of working as a recicladora in Costa Rica and the importance of uniting as a Latin American and global network of waste pickers. 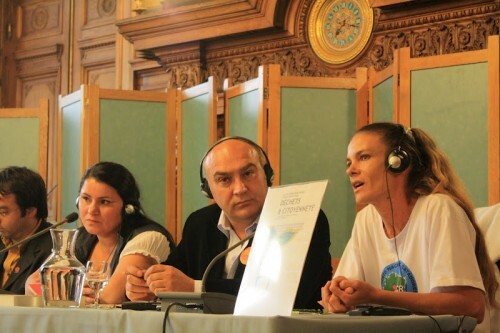 Also included was a call for participation in the Global Day of Action against incineration, a gallery of photos, and an announcement of grants won by a number of Latin American waste picker associations. Visit redrecicladores.net to sign up for the newsletter. The Latin American Network, Red Lacre, is an organization that represents and involves labor movements that unite waste pickers throughout Latin America. Red Lacre’s mission is to improve working conditions of waste pickers and to initiate dialogue between countries in order to exchange experiences, organize, and take action. The network represents waste pickers’ groups in 15 countries. 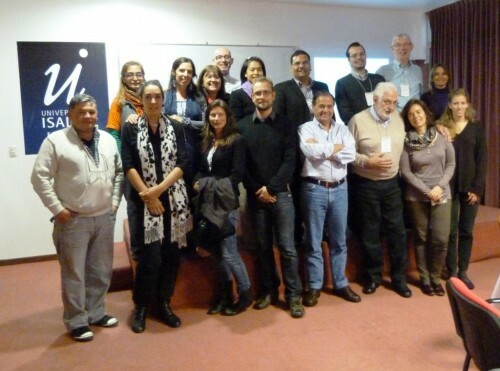 Last year, as part of a process of decentralization that began in Peru during the 4th Conference of Waste Pickers, the current communications team (based in Chile) decided to design and launch the new website. The goal was to solidify the network and help develop relationships between waste pickers across Latin America. Around the world, waste pickers are working individually and in groups. The idea behind the Global Alliance is to strengthen relationships between waste pickers across the world with the idea that there are no borders for those who fight for the same cause: being recognized and properly included in the solid waste management systems of their cities and and being treated as recycling professionals. With more and more waste pickers using the Internet, the launch of globalrec.org is an opportunity to connect waste pickers across continents, particularly – but not only – those strongly organized in Latin America, Africa and Asia with the issues that affect them locally and globally. The website will serve as a meeting place for waste pickers in these three continents – a multi-lingual hub for communicating and catching up on current issues and events, as well as an educational space for those interested in learning and supporting waste pickers’ causes. Several projects are in the works. One is example is an interactive map to be produced this year. It will show where waste pickers’ groups have formed and include important details about their associations. With this tool, waste pickers will be able to learn about other groups and also contact them. A pre-website was launched in December, kicking off by documenting the Global Alliance events and activities at COP17. The website will continue to include information from major events around the world that involve waste pickers. Visit www.globalrec.org. In addition to the website, the Global Alliance has disseminated information via Facebook and Twitter. To follow the Global Alliance on Facebook, visit www.facebook.com/GlobalRec. To follow on Twitter, visit @global_rec. 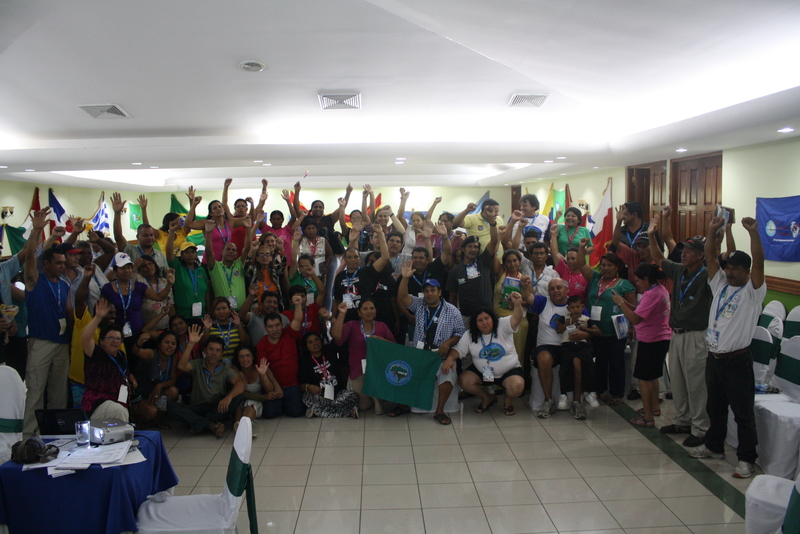 This year, Nicaragua hosted the annual continental summit that brought together 21 countries and 160 waste pickers (recicladores). 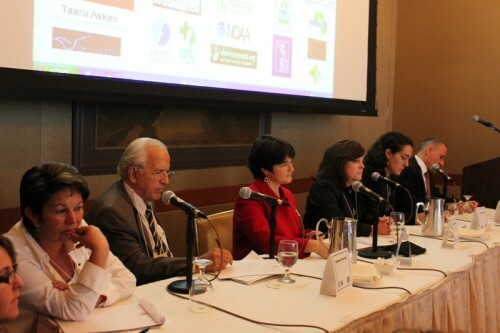 The event was a milestone celebrating the first meeting of the Central American and Caribbean Recyclers and their integration into the Latin American Network. It also brought Central American recyclers together, allowing them to build a network of support and share their experiences with regional allies to help them strengthen their organizations. The objectives were to bring visibility to recyclers in Central America and the Caribbean and support their organizing efforts. 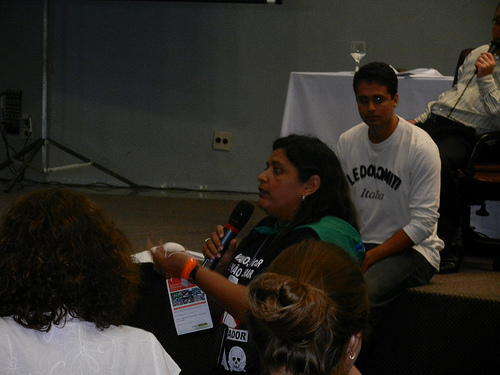 At the conference, the Latin American waste pickers drafted the “Declaration of the First Central American Waste Pickers’ Conference”, which was dedicated to Juana Rafaela Juárez Téllez. There have been several innovations in biogas technology over the years, such as the Nisarguna’s thermophilic process and Biogas refining, compression and bottling. The workshop will bring together some of these recent innovations in the Biogas field, and will serve as a platform for innovators, scientists, engineers, government, waste pickers and NGOs to get together and share ideas and information. Waste pickers’ organizations from Africa, Latin America and Asia will discuss different models of inclusion in municipal solid waste management systems and threats they are facing. The objective of this event is to develop an understanding of inclusive solid waste management models among the waste pickers, with a view to strengthen organizing efforts towards achieving them in cities across the world.